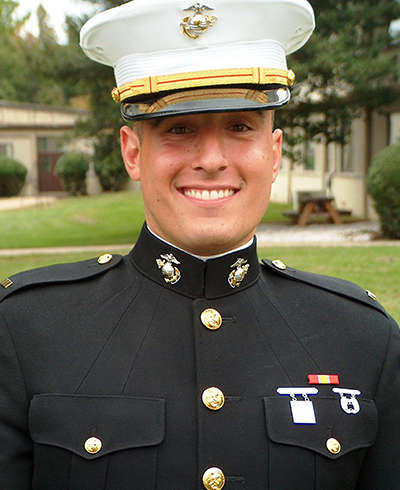 Born in Santa Clara, CA, a native of Los Altos Hills, CA, and a 2001 graduate of Saint Francis High School, Captain Matthew Manoukian joined the Marine Corps in January 2006 after earning a Bachelor’s Degree in Political Science from the University of Arizona. He was originally an Infantry Officer, attended the Assessment and Selection Course and Individual Training Course, and was assigned to 1st MSOB in March 2010. Capt. Manoukian was a 1st Degree Black Belt in the Marine Corps Martial Arts Program. He deployed in support of both Operations Enduring Freedom and Iraqi Freedom. In the early morning hours of Aug. 10 at the Village Stability Platform in Puzeh, following a meeting with local Afghan officials, a rogue local Afghan dressed in a police uniform opened fire on the team’s leadership killing Capt. Manoukian, his Team Chief and their EOD technician. Capt. Manoukian’s personal decorations include the Navy Cross awarded posthumously in January of 2014, two Purple Hearts, two Navy-Marine Corps Commendation Medals and two Combat Action Ribbons.